If you’re building a property with the intention of either selling or renting, our Selfbuild Pro Insurance could be for you. It is designed specifically for commercial or professional self-builders, who are building one or more properties. SelfBuild Pro Insurance recognises the commercial aspect of your undertaking, and so includes additional cover, such as extra plant hire cover, employers' liability insurance and cover against liability for potential damage to adjacent buildings. For more information give us a call, or request a Callback today. Why do I need Selfbuild Pro insurance? Building a new home to rent or sell is a commercial endeavour. You could be building multiple properties or be working to a strict timeline. Our SelfBuild Pro insurance offers quality cover for commercial or professional self-builders. This cover includes up to £5M of Public Liability insurance, and £10M of Employers’ Liability insurance, which is a legal requirement if you employ people to work on your self-build site. Contract Works covers the part-completed structure if it’s damaged or destroyed. Choose from £50k to £1M per build, helping ensure that your project has adequate cover as it starts to have a value. Cover for Hired-in Plant, Owned Plant, Tools and Materials cover are also included. View our Policy Summary to find out more. Our SelfBuild Pro insurance is designed to cover you from the point at which the build phase starts, until building is completed. 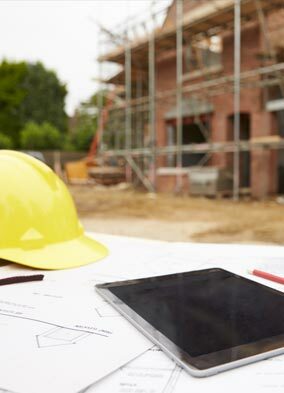 You can also insure your self-build plot before build work starts with our Site Liability cover. This is a flexible policy with cover periods of 3,6,9,12 ,18 & 24 months - to suit your project. This can be extended should you require it. With over 20 years in the insurance industry, we’ve learned a lot about what people really want from their cover. You can speak to our UK based team if you need further information about our product. You will also have access to a 24-hour claims helpline. We also offer Site Liability insurance, Renovation & Conversion and Structural Warranty policies. If you’re looking to move into the completed self-build property, please visit our SelfBuild insurance page.